A poignant account of an alcoholic father who drags his family into misfortune, The Vagabond Valise is the heart-breaking autobiographical story of Siris, represented by his chicken-headed alter ego. Siris paints a sincere and poetic portrait of his troubled childhood, in and out of foster homes, but also of the working-class, post-war Quebec where it took place. 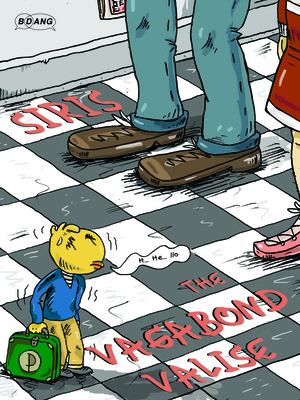 Ten years in the making, The Vagabond Valise is the first graphic novel from a founding father of the Quebec comix underground.